Email marketing of the future is exciting and fuelled by innovation, and for business willing to adapt, the opportunities are enormous. Here’s a sneak peek at some of the changes email marketing is set to undergo. Chatbots are essentially artificial intelligence-powered software designed to streamline complex predefined tasks without the need for a human to be involved directly. 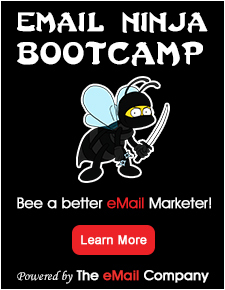 They’re also revolutionising the way email marketing is being carried out. Think of Siri, which is probably the most famous bot of all. Facebook Messenger, with its one billion users worldwide, opened up its chatbot, allowing businesses to interact with their customers in an advanced environment. Chatbots, with their ability to track individual customer behaviour, can send contextually relevant and personalised messages, helping brands connect with their customers on a more personal level and engaging them the right way, which can ultimately help boost ROI. With more and more customers using multiple digital platforms and wanting information on-the-go, chatbots help brands access data and communicate on various channels quite seamlessly. Bots also provide another crucial assistance to marketers in helping them keep a tab on the key metrics that help in analytics and optimisation and keeping track on changing market trends.